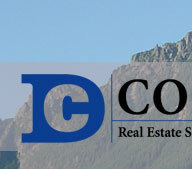 Thank you for your interest in Cook Real Estate. Please fill out the following form and one of our agents will contact you shortly. If you would prefer to contact us by phone or e-mail, simply scroll to the bottom of this page for other contact information. We will not disclose this information to any other company without your permission.